Cold weather and short days make it is easy for both us and our pets to get a bit lazy in wintertime. Nevertheless, it’s important to stay active to maintain a healthy body condition and optimal health, even when the outdoor temperature drops. Here are a few tips to help you and your cat stay busy and healthy this winter. Your cat can easily become overweight if all he does is eat a big meal and then go sleep all day. You can avoid this by hiding small portions of food around the house in bowls or in feeding toys. A cat’s metabolism works best when he eats multiple small meals a day. Feeding in this manner will also increase his daily physical activity and hone his hunting instinct. Additionally, studies have shown that animals enjoy their food more when they have to work for it. Make Treat Time Fun, Too! 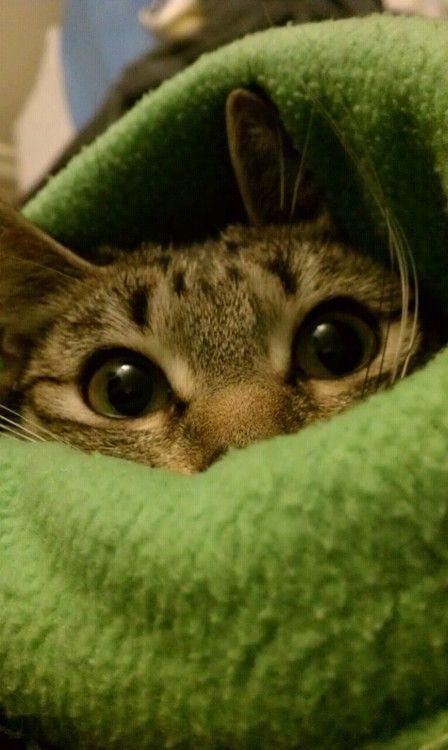 Play a game of hide and seek with a catnip toy or his favorite treats. Start easy by showing him the toy and then placing it in a location he can see. When he gets the toy give him a treat and start again. As he begins to understand the game you can make the toy more difficult to find. There are a wide variety of cat toys — from feathers to balls to pretty much anything dangling from a string — that can get your cat off of the couch and moving around. Find one that you two really enjoy and make her bounce and pounce around. Just like dogs, cats can learn tricks like come, sit, fetch and stay too. Start with a treat that your cat loves and practice for 15 minutes a day. You may need to break up the treat in small pieces to control calories and limit weight gain. Once your cat performs the desired action you should reward him within 1-2 seconds so he will associate the treat with the command. Pick up a cat tree for your kitty to increase the vertical space in the house. Cats love climbing up to higher spaces so they better observe their environment. Cat trees give kitty new nooks to explore and places to relax in. They are usually made out of material that encourages your cat to scratch so he isn’t ruining the furniture. Any changes in your cat’s activity can lead to weight gain or weight loss. Monitor his body condition score closely (Try petMD’s Healthy Weight Calculator) and consult Dr. Anderson about dietary changes if you notice a fluctuation in weight. 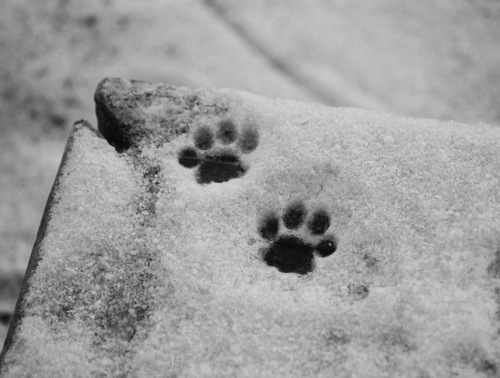 Winter weather can cause cats to have dry skin and/or damaged paws. 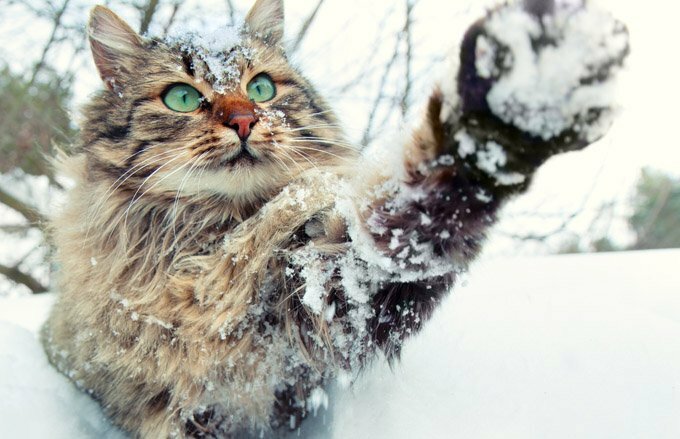 Learn about some tips on how you can help your cat’s skin and paws weather this season! Winter means different things in different parts of the country. Temperatures may drop but the severity of the lower temperatures varies. Along with this, some areas of the country also have low humidity during the colder months of the years. This decrease in humidity and people’s methods of dealing with snow and ice accumulation can cause some problems in our pet. In winter, low humidity is common, and pets are typically kept indoors, exposed to dry heat from furnaces as well as dry environment conditions. Without enough moisture in the air, skin problems can occur. The most common skin problem in the wintertime is dry flaking skin. To help your pet survive the dry chilly weather with a healthy skin and coat, try a few of these suggestions. Avoid bathing your cat during cold, dry weather. Bathing removes essential oils from the skin and can increase the chance of developing flaky skin. If bathing is necessary, use our Hypo-Allergenic Moisturizing shampoo. For severe skin issues, your pet may require an antiseptic or antiseborrheic shampoo. Ask one of our team members for assistance. These products are also available on our new Online Pharmacy. You can click the blue “SHOP NOW” button at the top of the page to check the store out. Call and talk to our store guru, Matt, if you need help getting started. Brush your cat often to remove dander and any shedded hair. To keep the skin full of luster, feed your pet a high quality diet. Avoid supplements and don’t add oil to the food unless specifically recommended by Dr. Anderson. After each walk, wash or wipe off your cat’s feet. This will remove any ice and road salt that can cause excessive dryness. This will also help remove chemicals that may be ingested when your kitty grooms. Trim the hair between your pet’s toes to reduce the chance of collecting ice and snow crystals. A small amount of petroleum jelly can be placed on the surface of the pads, especially prior to allowing your cat to go outdoors. If you have any questions about your cat’s health, please call Companion Animal Hospital to set up an exam with Dr. Anderson and one of our technicians.